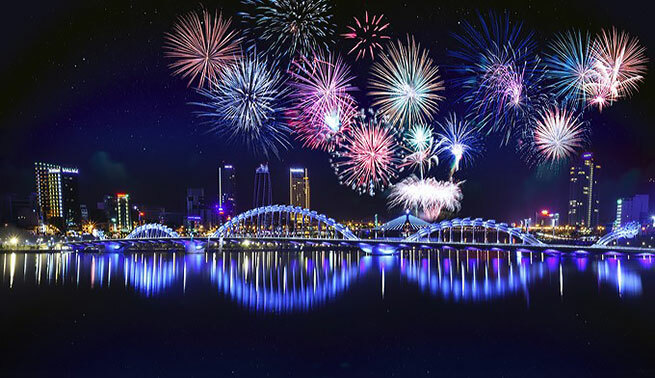 The organising committee of the Da Nang International Fireworks Competition 2017 has launched a contest to determine its logo. Anyone, Vietnamese or foreign, professional or amateur, is eligible to apply, and contestants will send their designs till November 25th for a fan vote between November 26 and December 2. The awarding ceremony will be held on December 5th, and the winner will walk away with cash-prize of 30 million VND (1,300 USD), while runner-up will pocket 10 million VND (433 USD), and a fanpage prize 10 million VND (433 USD). The contest organisers will also present a Graphic suite scholarship. Contestants can send their designs to email: logo@diff.vn or visit www.diff.vn or facebook.com/diff.vn. The city also officially announced FPT Arena and RGB.vn as two sponsors for the event. Da Nang has hosted the annual competition since 2008, and the event became biennial in 2015. Last month, the city received an award for Asia’s Leading Festival and Event at the World Travel Awards ceremony for tourism./.